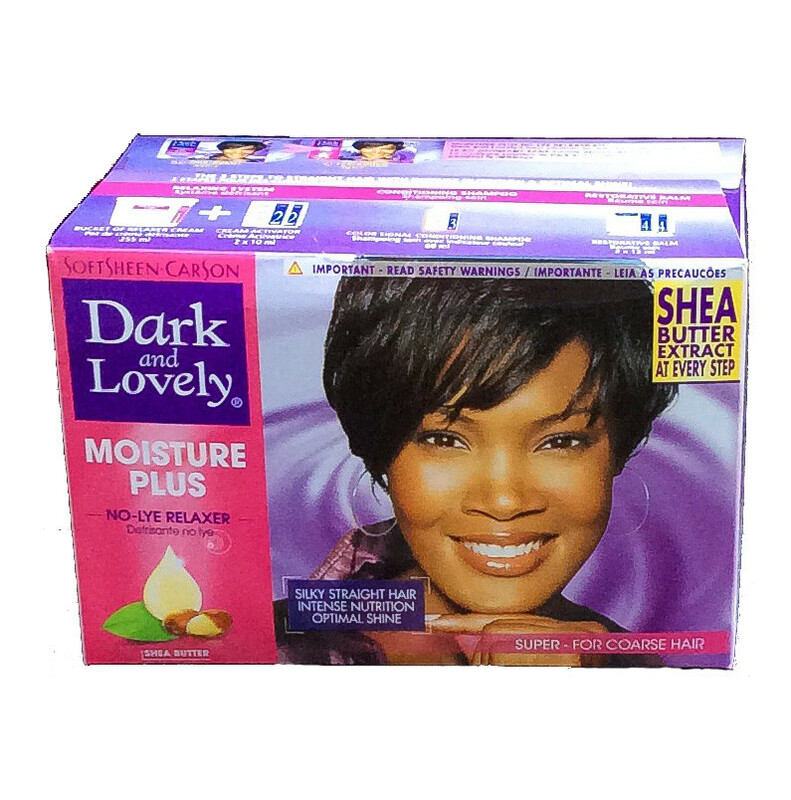 SoftSheen-Carson Dark and Lovely MOISTURE PLUS No-lye Relaxer kit Super. Incudes SHEA BUTTER EXTRACTS at every step. Especially made for coarse hair. SoftSheen-Carson Dark and Lovely MOISTURE PLUS No-lye Relaxer kit Super. Incudes SHEA BUTTER EXTRACTS at every step. Especially made for coarse hair. SoftSheen-Carson Dark and Lovely SCALP COMFORT No-lye Relaxer kit Regular. Incudes SHEA BUTTER EXTRACTS and COTTON OIL plus new scalp protection pre-treatment. Especially made for normal hair. SoftSheen Carson Dark and Lovely Rich Auburn Hair Color. Fade Resistant, Rich Conditioning Color with Moisture Seal Technology. Locks in True-to-Tone Color and Shine. Permanent Hair Color - 1 Application.